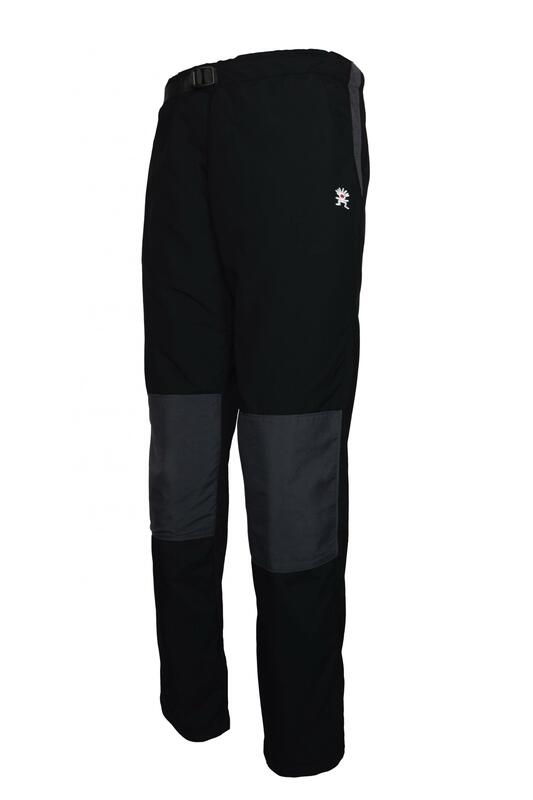 Omni Trousers are made using a very lightweight nylon fabric that is windproof, water resistant, breathable and durable. They have an elasticated waist with an integral belt, two hand pockets and are of a simple pull-on design. The fit is unisex and the gusseted crotch ensures great freedom of movement whatever the activity. Although originally designed for climbing, the Omni Trousers have proved to be fantastic for hiking, travelling and general wear. They are a simple, incredibly comfortable and practical piece of legwear. • Weight 225g (size medium).